Learn to use strategic thinking skills to accelerate your goals. We're living in a golden age of opportunity. Anything is possible. You may be wondering why, if anything is possible, you feel stuck. Whether your success seems always just out of reach, or you simply can't get out of a rut you've been in for a while, you're ready to begin moving forward. But each time you begin to make progress toward your goals, you encounter a roadblock, an obstacle or a setback, and you never quite get there. Why does this happen to you, while others seem to move consistently forward and to achieve one goal after another with apparent ease? Because even though you actually possess unlimited potential, you've fallen victim to self-imposed boundaries and limits. The good news is that this is a fairly common problem. Even better, it's absolutely possible for you to overcome it. Learn how in my program, "Breaking the Success Barrier." You'll be absolutely astonished when you put these tactics to work in your everyday life. By simply moving forward and committing to getting the results you desire, the pieces will fall into place. Experience the wonder of unlimited success by ordering "Breaking the Success Barrier" today. 6 high-quality audio CDs comprising 7 hours of audio instruction. 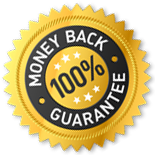 You make your investment at no risk, because you're completely covered by my Iron-Clad, 100% Satisfaction Guarantee; that is, you have a full year to put the ideas I teach you in this program to use in your life. If, within 365 days of your purchase, you don't believe the program is worth the investment, contact my customer service for a full product refund. No questions asked. Ready to begin breaking your own success barriers today? Throughout my lifetime, I've learned the only way to achieve any measure of success is to open your mind to being successful – and then dedicate your life to making it happen. Once you make this dedication and stick to it, the possibilities are endless. Experience endless possibilities in your life!